London (AFP) - Prince William started his new job as an air ambulance pilot on Monday and was swiftly in the air on an emergency mission. 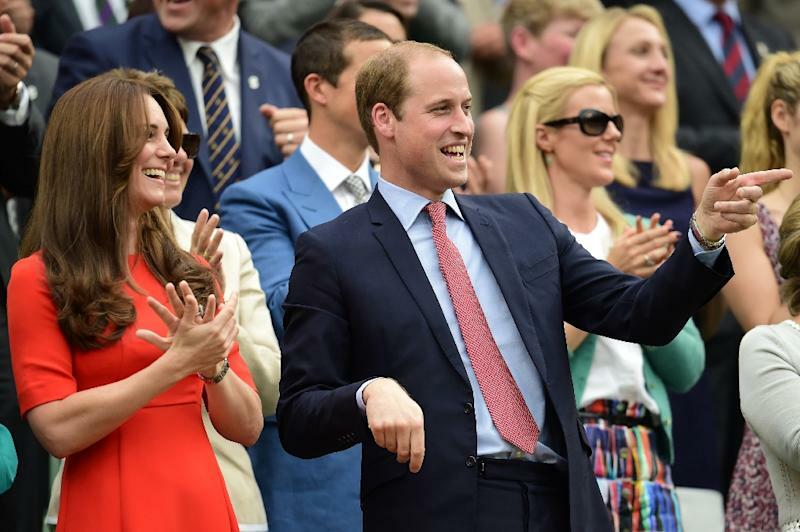 The Duke of Cambridge, 33, second in line to the throne, said he hoped he could juggle fatherhood, royal duties and his new role in the skies. "It's my first day and I'm feeling the nerves," he said at a drizzle-soaked Cambridge Airport. "I'm really looking forward to getting started." 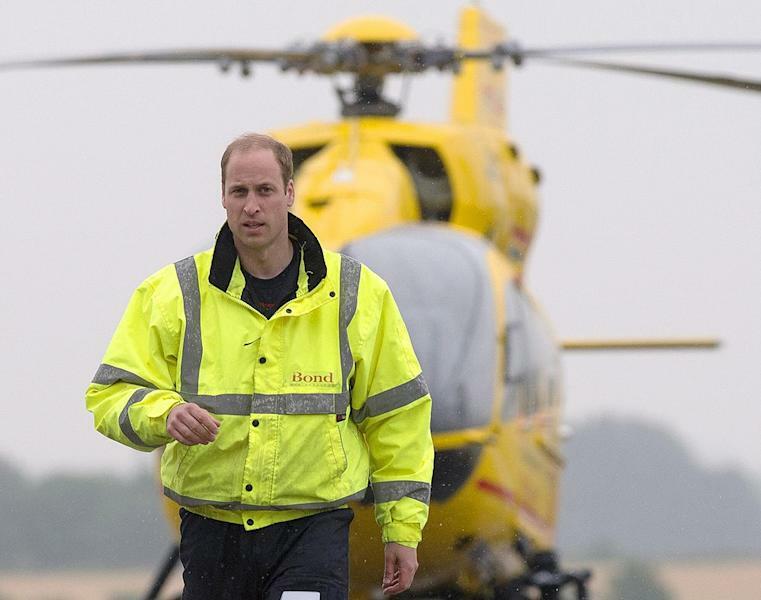 Two months into becoming a father of two after the birth of Princess Charlotte, William began his first shift with the East Anglian Air Ambulance (EAAA), a charity providing emergency helicopter cover across eastern England. William, who spent three years as a military search and rescue helicopter pilot, has gone through months of exams and training to convert to his new civilian role. Two hours after clocking in for duty, the prince and his crew-mates were dispatched on his first emergency call-out. "Doing a job like this really helps me to be grounded and that's the core of what I'm trying to become," he said. "I'm trying to be a good guy, to do what I can and trying to be a decent individual." He suggested there was no reason why he could not carry on flying helicopters until he becomes king. "There's nothing to say I couldn't do it for the rest of my life," the duke said. "Inevitably down the line, things will probably become a little bit more difficult for me to do that. "At the moment I'm juggling it and enjoying it. "While I'm still relatively young, I will manage the two jobs the best I can." The prince will work four days on, four days off. William, his wife Kate and their young children Prince George and Charlotte split their time between their Kensington Palace apartment in London and Anmer Hall, a country mansion on Queen Elizabeth II's private Sandringham estate in Norfolk, eastern England. Cambridge lies between the two. 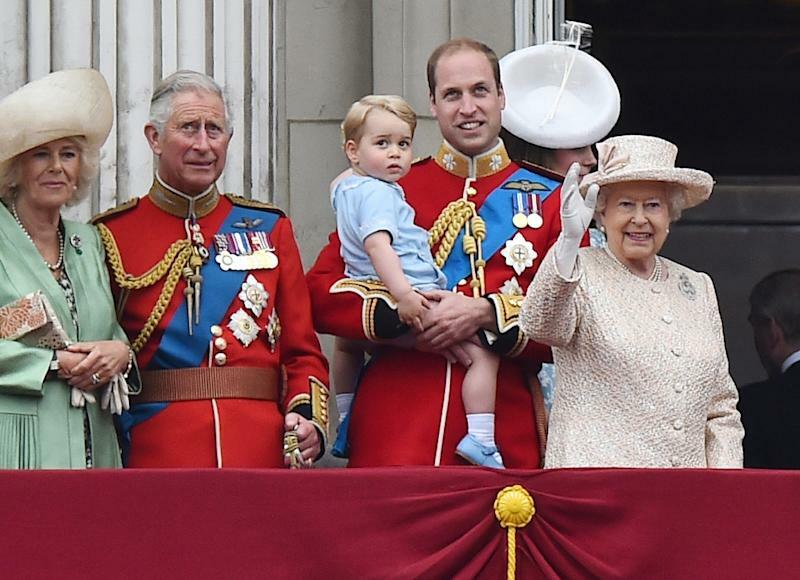 George, third in line to the throne, turns two on July 22, while Charlotte was born on May 2 this year. She was christened on July 5. Asked about the birth of Charlotte, he said: "It's been fantastic, she's been a little joy of heaven. "At the same time it is more responsibility looking after two little ones, especially when George is around -- he's a little monkey." But he added: "It's no more difficult than what everyone else has to do." Employed by Bond Air Services helicopter operators, he is donating his Â£40,000 ($62,000, 56,000-euro) salary in full to charity. Road traffic crashes make up the majority of the air ambulance's call-outs but they also have to respond to sporting injuries and other accidents.